Driving from Krotoszyn down the road no. 15 towards Jarocin you drive through Koźmin Wielkopolski. There you have to circle the market square and after driving out from it, straightaway turn into the first street on the right. After covering around 200 m on the left side, by the road stands the castle. 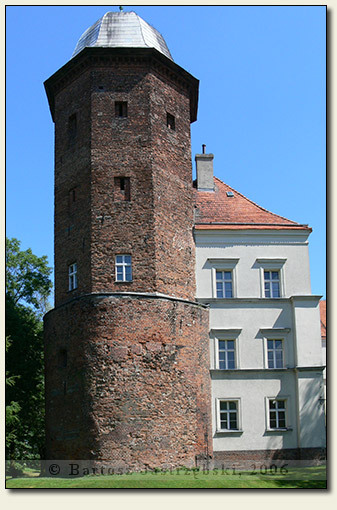 The castle in Koźmin Wielkopolski appeared for the first time in the chapters of the history in 1338 when it was Maćko Borkowic who received it from the Casimir the Great. However, he did not enjoy his gift to the full too long since already 20 years later the castle was taken away from him. 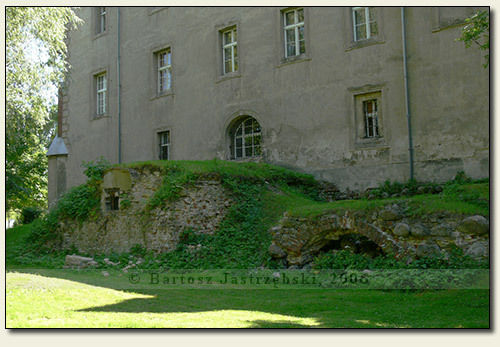 The next owner was in the years of 1358-1393, Bartosz Wezenborg to whom is ascribed building of the oldest preserved till today, parts of the castle. 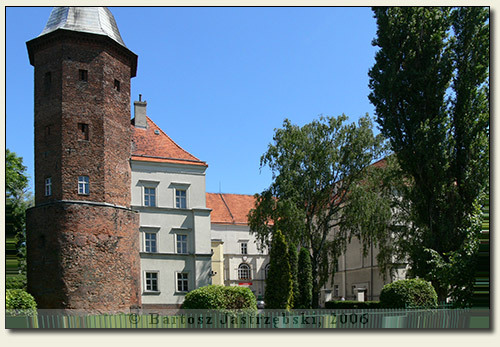 200 years later, Andrzej II Górka, made the most serious reconstruction of the stronghold, largely contributing to its present appearance. 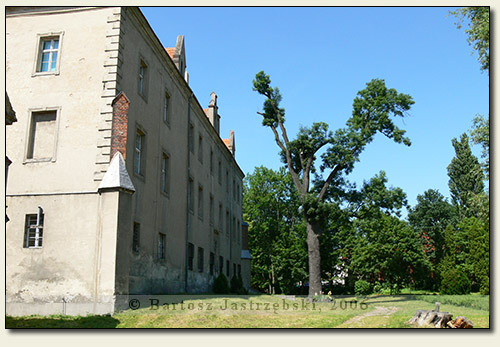 The subsequent owners of the castle (including the Przyjemskis and the Sapiehas) had been also converting it until the construction works from 1856 gave it the ultimate looks. Since now the castle has housed the school.